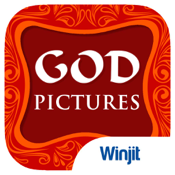 Winjit Technologies bring you the ultimate collection of God pictures. Immerse yourself in the devotion of the almighty. In this busy life if you do not find the time to thank the almighty by visiting a temple, then you can certainly make up for it through this App. 4) Share with your friends & family via Email/WhatsApp/FB/Twitter.